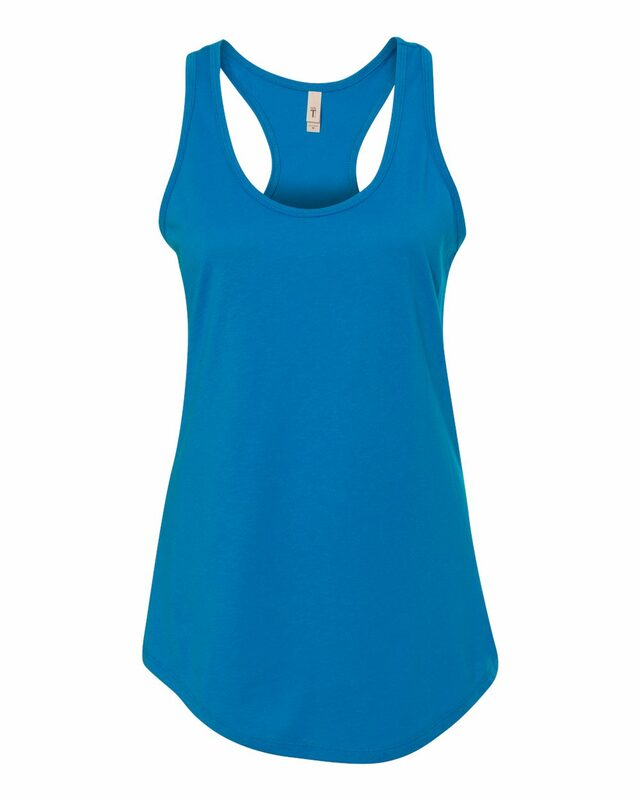 This new poly/cotton racerback tank is part of the Next Level Ideal line. It's the same quality you would expect from a major brand, but with a much lower price point. 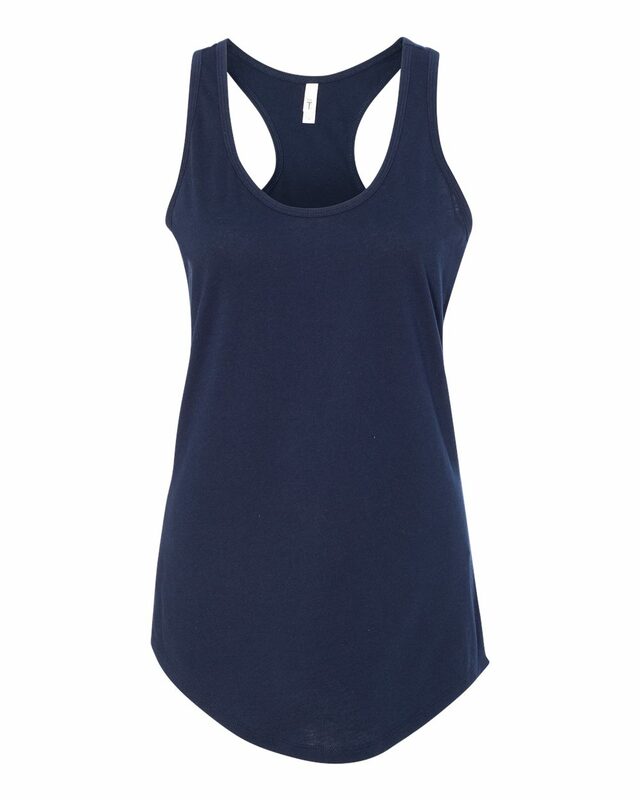 This breathable, lightweight tank is great when you have a tight budget, but still want a fashionable tank. The back of this tank is not cinched like the Bella 8800 so you have more options for print locations. 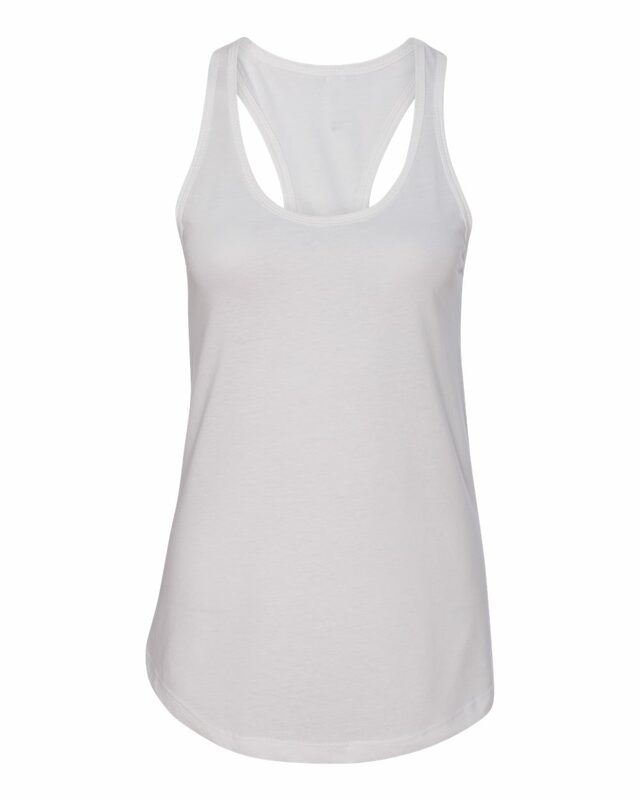 Tip: If you want a fashionable tank, like this one, but don't like a tight fit we recommend ordering one size up.